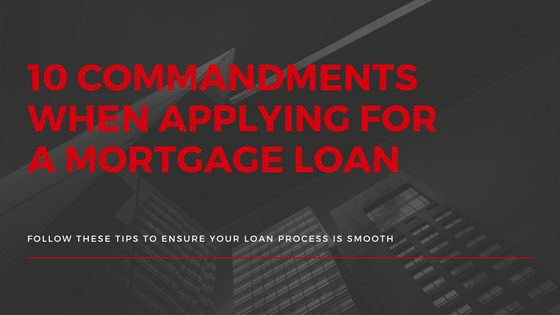 Whether you are purchasing a home or refinancing your current mortgage you will want to follow these commandments to ensure a speedy and smooth process! Thou shall not use your credit cards or let your payments fall behind. Thou shall not co-sign for anyone. Thou shall not purchase ANYTHING until after the closing.